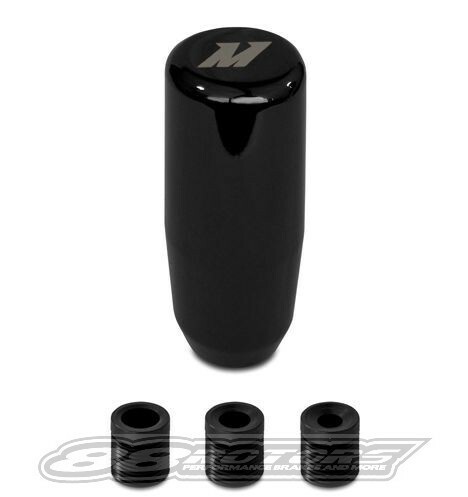 The Mishimoto Shift Knob provides a superior alternative to your factory shift knob. 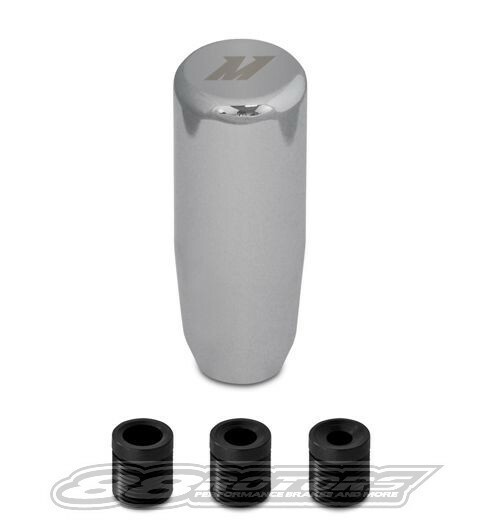 The weighted shift knob allows for smoother, faster shifting while the signature "M" logo and polished black or silver finish adds some Mishimoto flare to your interior. The purchaser's remedy for breach of this limited warranty, exclusive of all other remedies provided by law, is expressly limited to repair or replacement of any part or parts. All products returned for warranty consideration must be returned to MP with all transportation expenses prepaid. 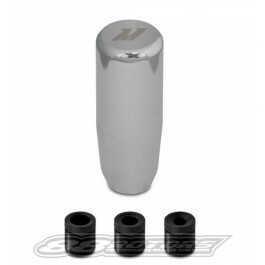 MP shall not be responsible for damages to its product or injury to persons using the product when caused by improper opening of radiator pressure caps, burst hoses, etc. MP shall not be responsible for injury or harm to persons or property caused by persons or vehicles using our products.